After an intensive week, the studytrip NL has come to an end. Yesterday the Ghanaian group flew back to Ghana. In the last couple of days the teams worked hard on finishing their working plan to make sure they were fully prepared for the upcoming intermission period and the studytrip in Ghana. But next to that, there was enough time for fun! In the past week the group grew closer by the day. On Tuesday all the teams visited the company’s they are working for during the New Business Challenge Ghana. The teams got a tour through the company buildings and had the opportunity to ask the company representatives everything that was on their minds. For the Ghanaian group it was sometimes fascinating to see the way Dutch companies are working. For example the group of Friss was amazed by the endless greenhouses, as far as you could see, you only saw greenhouses! Part of the creative thinking was converging the many ideas into a concept. The teams selected their best ideas which helped them to formulate hypotheses to test once they are in Ghana. 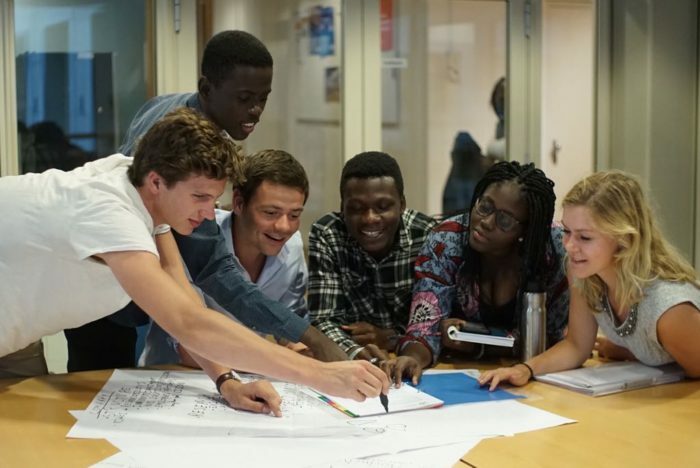 Because there is only limited time, the teams were asked to come up with a solid plan that will guide them throughout their study trip in Ghana. They came up with inventing ways of using data and planning appointments with stakeholders or other involved parties. After a week of working very closely together and having a lot of fun, the 40 participants became very close. The pictures say more than words.. On Saturday it was time for the Dutch night. The Dutch participants prepared an evening full of typical Dutch games and karaoke. Dressed in orange the Ghanaian group appeared to be very talented in singing Dutch karaoke songs! After a boat trip through the Amsterdam canals and a nice dinner on Sunday it was time to say goodbye.. but not for long! In less than two weeks they will meet again in Accra. Want to follow the teams in Ghana? Check the Facebook page to stay up-to-date!